We all love to secure the future of our upcoming generation and thank technology somehow for bringing the best for our kids, on the other hand there would be a big number of people, especially parents who would go disagree with me and would repeat that technology has made us lazy and dependent somehow, and has also created a distance between two generations, which can never be bridged. Albeit, their claims are also not wrong from the perspective of good parenting. With the major outbreak of technology in our day-to-day lives, we have finally come to an axis point where everything meets the end of technology. 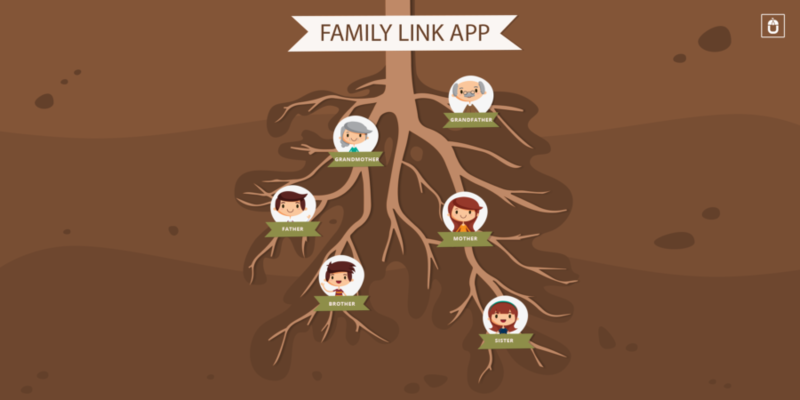 Family Link App lets the parents create a Google account for their kids. Surprised? Well, even I was when I read this piece of news, but was calmed down, once I scrolled further, so you too go ahead…the account is created by the parents and also controlled fully by the parents, so the elders can manage the apps their kids use, monitor for how long the device has been used, and interestingly it offers to set a special ‘BEDTIME’ for your kids with a remote lock as well. Although I remember as a teenager, most of the people who could relate to my age, were denied access to internet except the most demanding conditions, but with Family Link app, parents can give a mail id to their kids who are under 13 without any fear and tensions to be associated with it. It is indeed a blessing for the parents and the kids to enjoy the benefits offered by the technology today. If there is an interesting mobile app concept revolving around your thought process, then you can simply click on the buttons provided below to access the services offered by Techugo- a top mobile app development company, where we take pride in developing the mobile apps for the leading brands to startups and our mobile app development team has the expertise to create a unique variety of mobile app solution for your business needs, which would help you to showcase your idea, goal and dream in the most informative and engaging way. Our team of top mobile app designers is here to help assist you with every step of your mobile app development strategy. We consult, brainstorm, manage the project, design, develop, test, launch, and market apps in the best possible way.